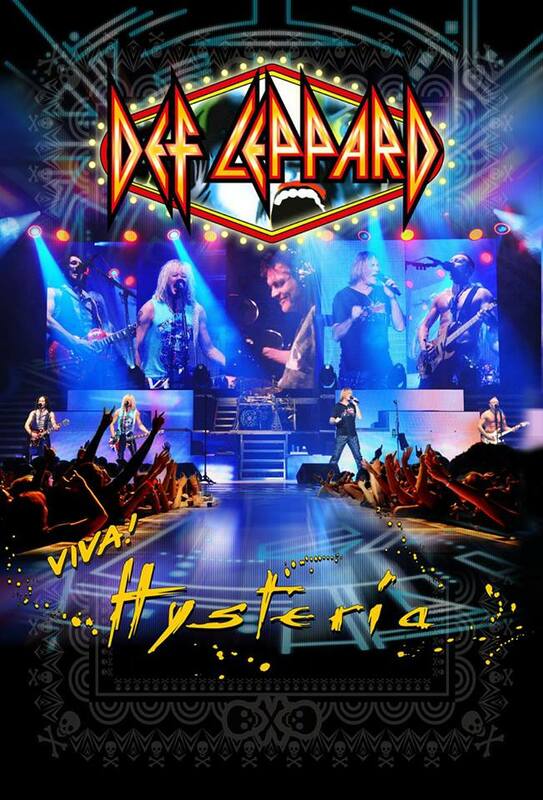 Def Leppard are sharing a preview of “Pour Some Sugar On Me” their forthcoming DVD, “VIVA! Hysteria”, which captures the band during their 2013 spring residency in Las Vegas. The UK rockers played 11 shows at The Joint in the Hard Rock Hotel & Casino this past spring, following in the footsteps of Motley Crue and Guns N’ Roses. The Las Vegas shows featured two sets from the band: the first, a wild card collection of songs that changed from night to night – performed under the name “Ded Flatbird”; the second presented the band’s iconic 1987 album, “Hysteria”, from start to finish. In September, the project hits theaters for a series of worldwide screenings; for a full list of territories, theaters and dates, visit the band’s website here. Following the cinema event, “VIVA! Hysteria” will be released in multiple formats: 2CD+DVD digipak, Blu-ray, DVD and digital album download.